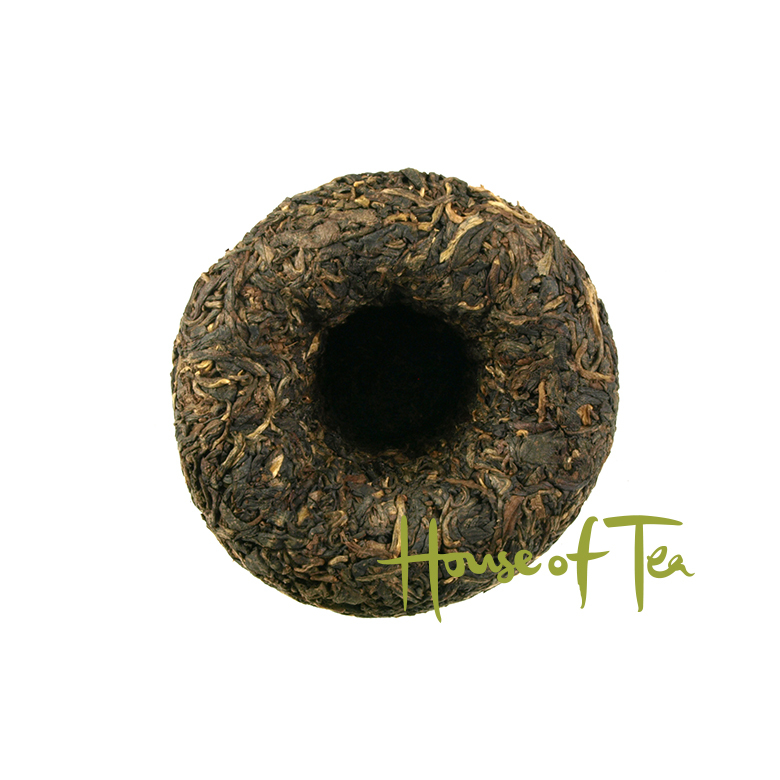 Raw Pu-erh tea from the year of 2001 in Tuo Cha style. The tea is of cultivar Yunnan Da Ye from the producer Xia Guan. Jia Ji is the grade. The tea is hard pressed and at perfect age to be enjoyed. 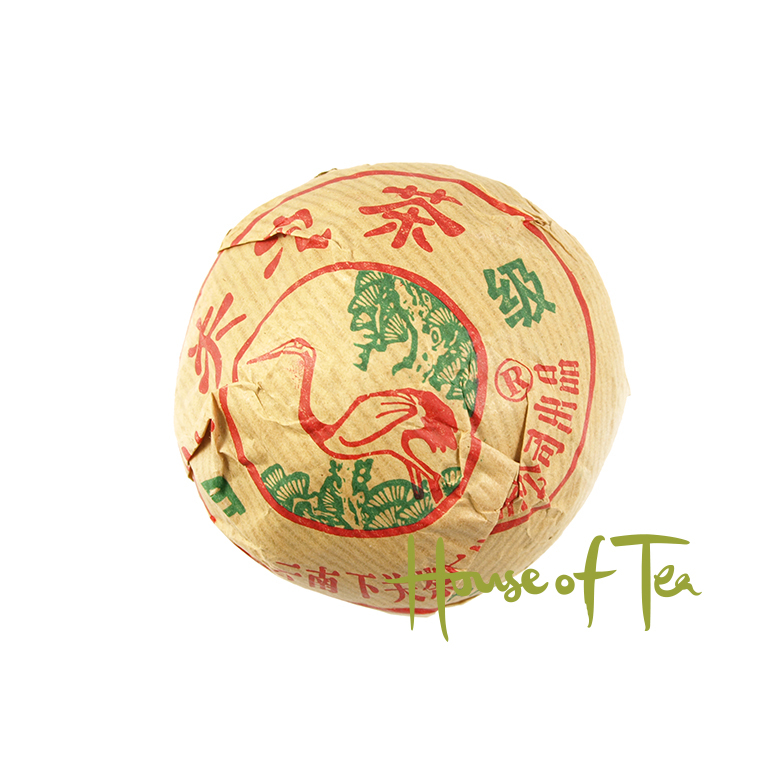 Xia Guan is a major producer of Pu-erh tea in China and since 1902 produced this type of tuo cha - tea in the form of a birds nest with a picture of a crane on. 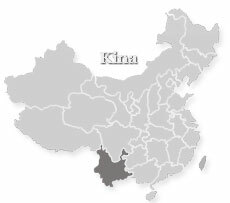 Produced by tea from various mountain areas in Yunnan Province. 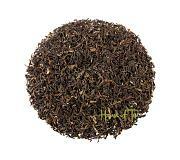 The tea can be stored for several years more but the tea is matured. 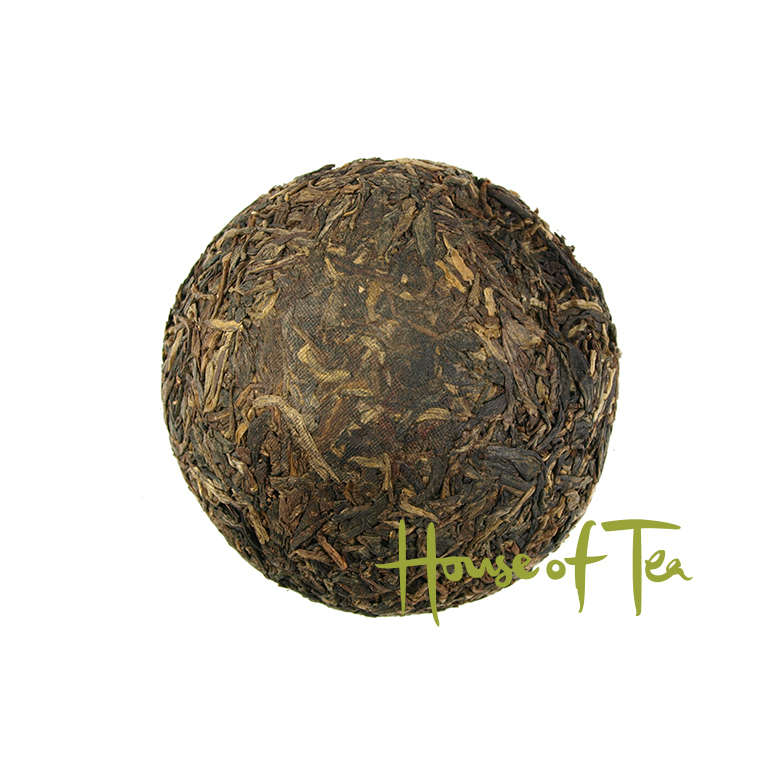 Taste: The tea has a balanced taste with earthy tones and a hint of smokyness. 4dl teapot - use about 6 grams of tea. Pour in 100° water and let it steep for 3 minutes. 2dl teapot - use about 3 grams of tea. Pour in 100° water and let it steep for 3 minutes. Second steeping 3 minutes, third steeping increase the time to 4 minutes. Make sure the temperature of the water does not drop, taste evolves with heat.